The application supports multiple types of GPS provider under settings. To decide what provider to select under application settings depends on what type of driver is installed for your GPS device. 1. ) 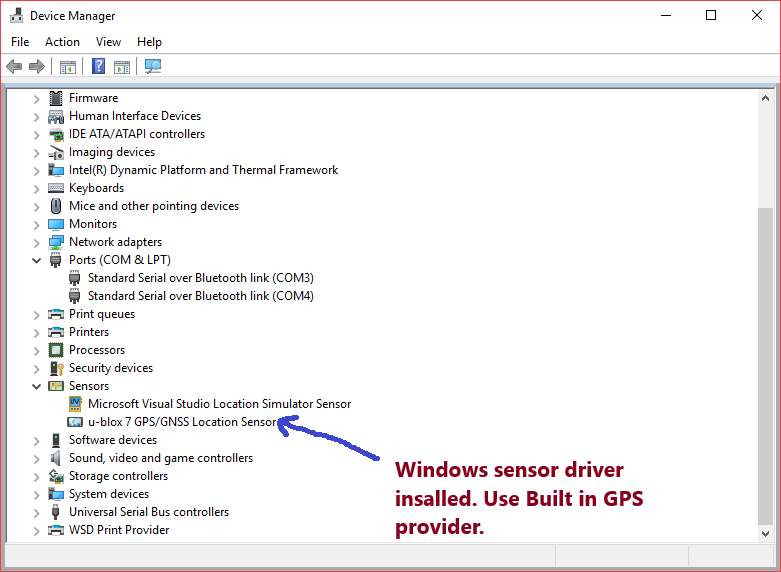 Windows sensor driver is installed: In this case, use "Built in GPS provider" under application Settings. 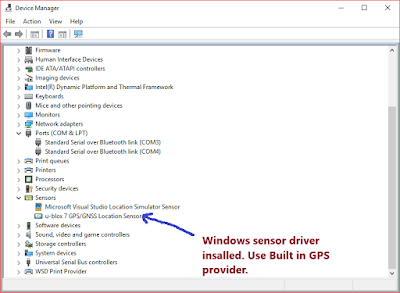 To check if your GPS device supports Windows sensor driver, check device manager. If the device appears under Sensor, this is the setup you have. 2.) 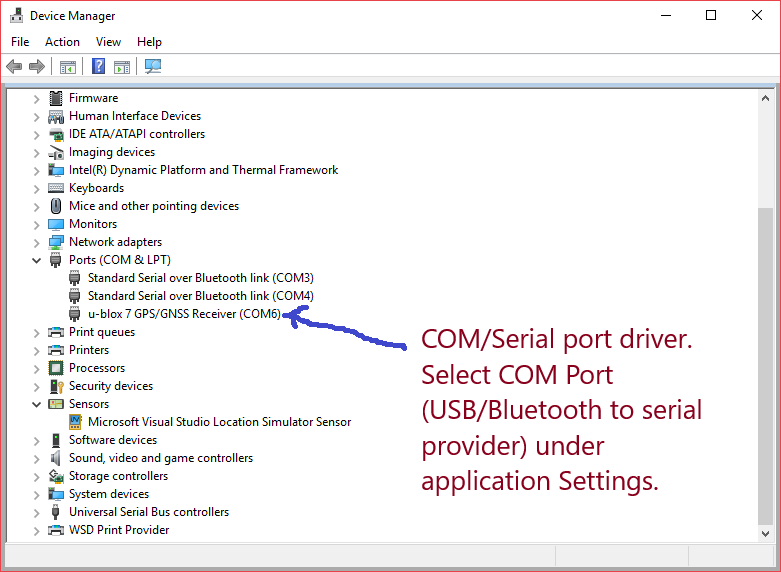 Windows COM/Serial port driver is installed: In this case, use "COM / Serial Port" provider under settings. 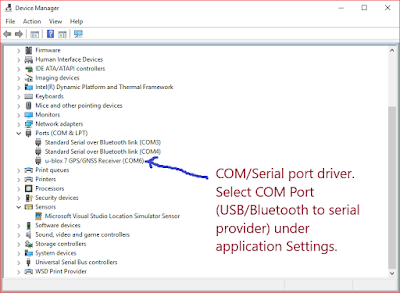 If your device appears under Ports (COM & LPT), this is the configuration you have. If you have the i-Boating app, you can download the latest Lake Murray Depth map with HD contours, fish attractor locations and more to your device. You can also check out the lake contour map on the online lake maps and charts viewer. External USB and Bluetooth GPS over COM/Serial port for Windows 10 laptops/PCs/tablets. We have pushed a latest package for our Windows 10 i-Boating application for desktops. Starting version 30.0.0.0 i-Boating for Windows supports GPS devices over COM/Serial ports. Most GPS drivers make the device available as a serial port/COM port device. This would allow our customers to use their external USB and bluetooth GPS devices on their Windows devices. Once that is done, AutoFollow, Track Recording and other GPS features would use GPS over serial port.